Passengers who have already shelled out on travel insurance now face paying more fuel surcharges. International Airlines Group (IAG) announced it could raise fuel surcharges following the hike in oil prices propelled by unrest in the Middle East. 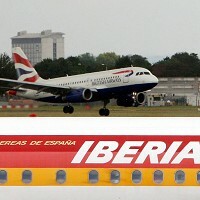 Willie Walsh, chief executive of IAG, which was formed after the merger of British Airways and Spanish carrier Iberia, said that both the airlines were monitoring the political situation across the Middle East. He said: "We are keeping the situation under review and we will adjust the fuel surcharge if we think it's necessary. "There has been an increase in the volatility of the fuel prices over the last few weeks. It is likely that increases will be seen in the market and this will affect all airlines and will be a challenge to the industry." IAG also announced its financial figures, reporting pre-tax profits of 21 million euro (£18 million) for the three months to December 31, compared with losses of 208 million euro (£177 million) in 2009. The profits were registered despite severe weather in the UK and a Spanish air traffic controllers strike which disrupted the airlines' operations and cut revenues by 71 million euro (£60.4 million).